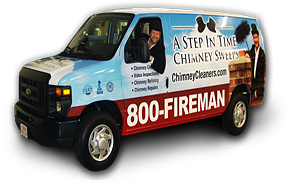 A Step in Time, Inc., chimney sweep professionals, provides experienced and skilled technicians, and the best value for service available. Our company operates in Virginia and Maryland. We have an A+ rating with the Better Business Bureau, and are fully licensed and insured. With more than fifteen years of experience, A Step in Time specializes in structural engineering inspections, chimney cleaning and repairs. The firm was founded by Ray Gessner, a professionally licensed professional engineer. Ray received a degree in civil engineering from Virginia Tech, and a masters degree in civil engineering from Old Dominion University.